It’s possible to assign a date other than the current date to WordPress ‘blogs’ so I’m now empowered to publish current ‘blogs’ and then ‘reverse time fill’ the older ‘blogs’ into their correct date order – once I’ve written them! Sometimes the best plan is to not have a plan and they say that ‘a good plan violently executed now is better than a perfect plan executed next week’. I’m not sure if that’s true but I’m prepared to give it a go at the risk of ‘publish and be damned’ – albeit without the risk of universal scandal incurred by Wellington when he first immortalised those words. Infidelity territory at my age would be a badge of distinction and not the topic of scandalous shame that Wellington feared would happen once the revelation of his infidelity was published – he was in his mid-50’s by then and his ‘affair’ had started when he was in his 30’s. Didn’t he also give his name to Wellington boots? Now I know where that other term ‘fill yer boots’ came from – and he did! – For 20 years! Doesn’t bear thinking about….so don’t! – those are not images that I want to wake up to at stupid o’clock in the middle of the night. Brains need ‘delete’ buttons and the more I rant on about Wellington’s boots and what they were filled with, the more likely they are to pay me a visit at some level of overnight semi-consciousness – just thought I’d share that with you! So, from having no intention to ‘blog’ when I woke this morning, here is a ‘blog’ that would never have happened had it not been for too many pictures to put on the Facebook page! It may only cover the last couple of days and it may be thwarting my attempts to put ‘Nelsotron’ on more Solitaire ‘Winning Game – Fewest Moves’ web scorecards, but the cumulative throng of ‘Blog-on’ addicts are outnumbering the ‘No’s to the left’ (me!) – so here’s what so many of you asked for. Our two sons, Ed and Will, announced their intention to pay us a flying visit (literally!) for a couple of nights from Friday 5th December. 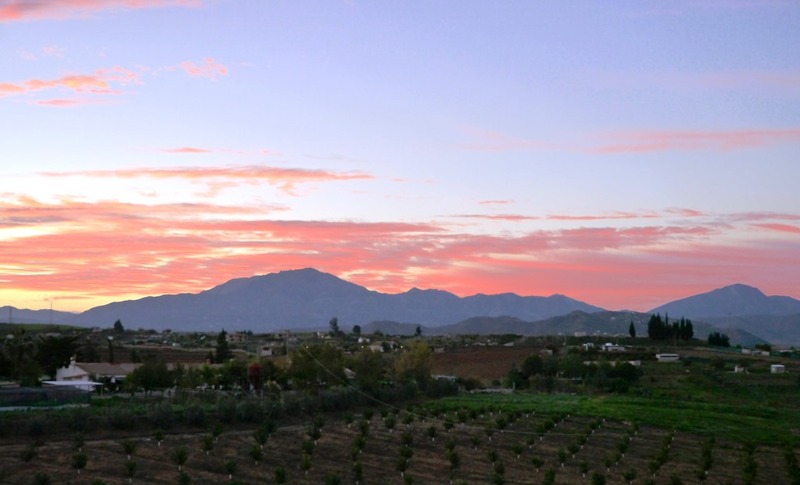 They will fly from EMA to AGP, rent a car and drive the 60 or so miles to us in Motril – as we are at the brilliant Finca de la Piedra site in Andalucia we need to ‘move on’. Ed & Will said that they would prefer a coastal location so we’ll need to relocate to a ‘Christmas/New year’ site as close as possible to Salobrena where Martin & Jill will be for 2 weeks from 22nd December (hope they have a bathtub in their villa!). 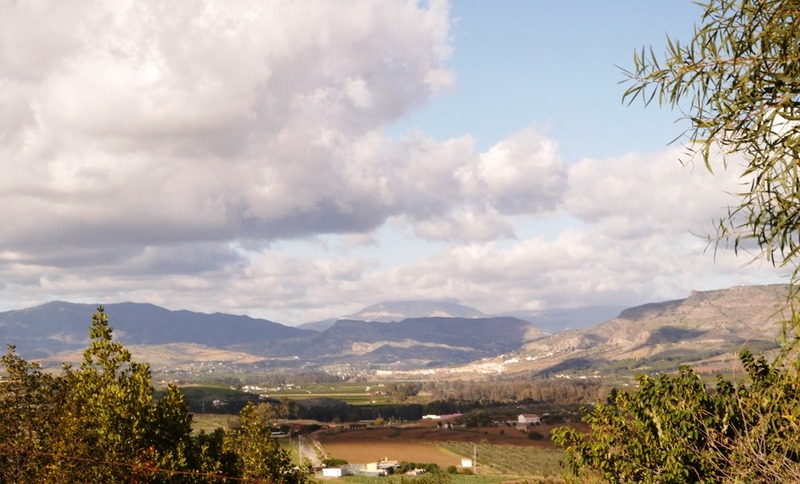 The valley and mountain views from the top 3 pitches at Finca de la Piedra are, without exception, the best ‘views from a Twernt pitch’ that we have had to date and the owners, Jeff and Irene are a mine of information and keen ‘Tin Home’ travellers themselves. 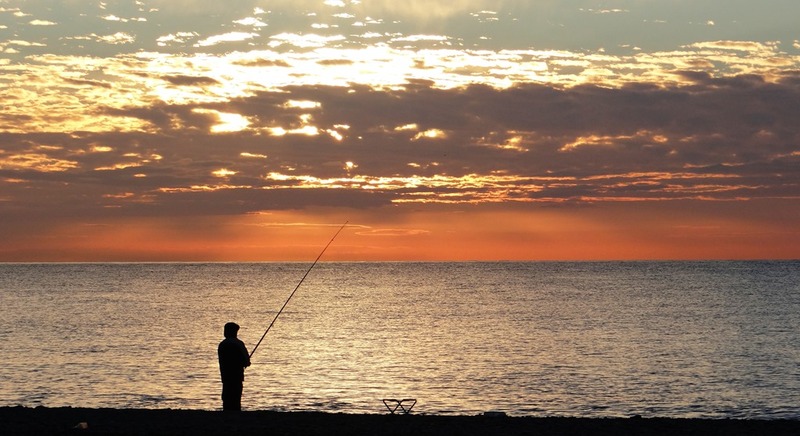 I had visited the local ‘bar’ with Jeff to collect a fish, chips and mushy peas take-out supper on a night when a British lady is the resident chef. We shared a couple of pints and I learnt that a Spanish village (pueblo?) 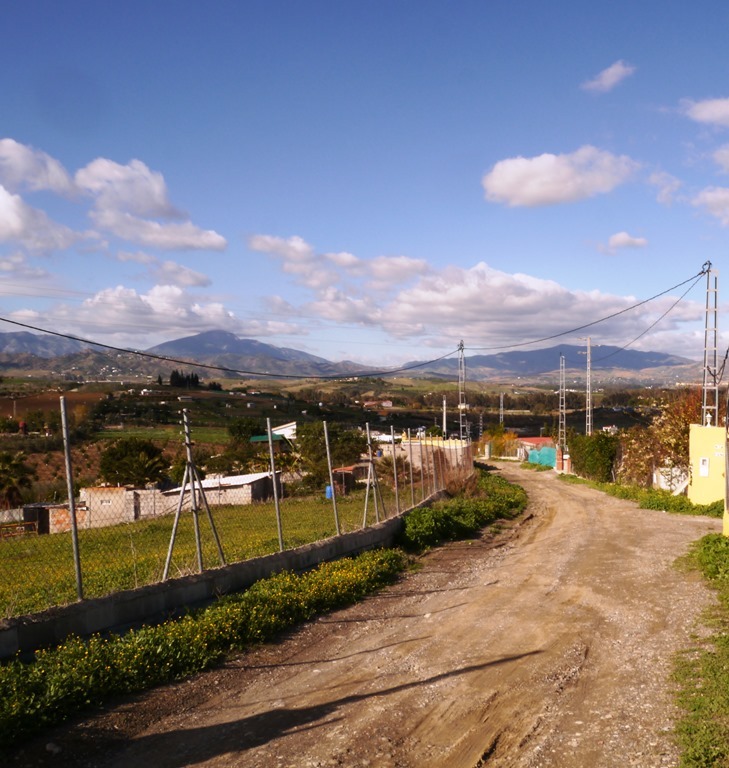 beginning with ‘Villafranco’ often indicates they are ‘new build’ villages developed to house displaced residents of valley villages that were flooded when Franco created much-needed dams. 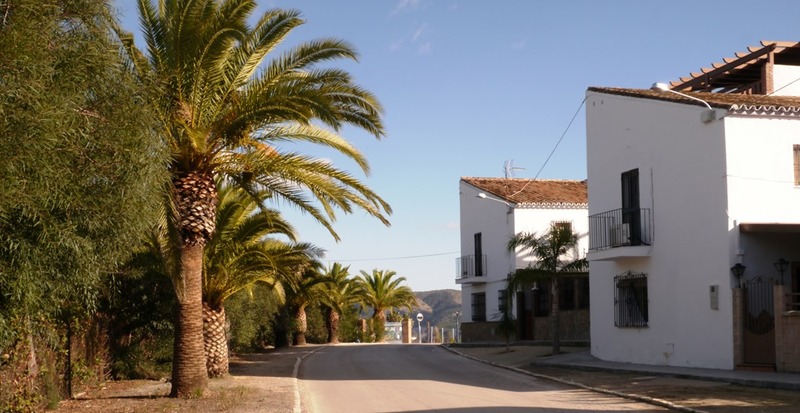 The rule was that displaced villagers were given a property in a ‘Villafranco’ village if they had owned a property in the submerged village and the residents that had rented a doomed property had a tenancy arrangement carried forward to a ‘Villafranco’ property. Motor Home owners just drove to a new site somewhere else in the sun – unless they had FWD tag-axle motorhomes – in which case they probably went down with the old village houses. 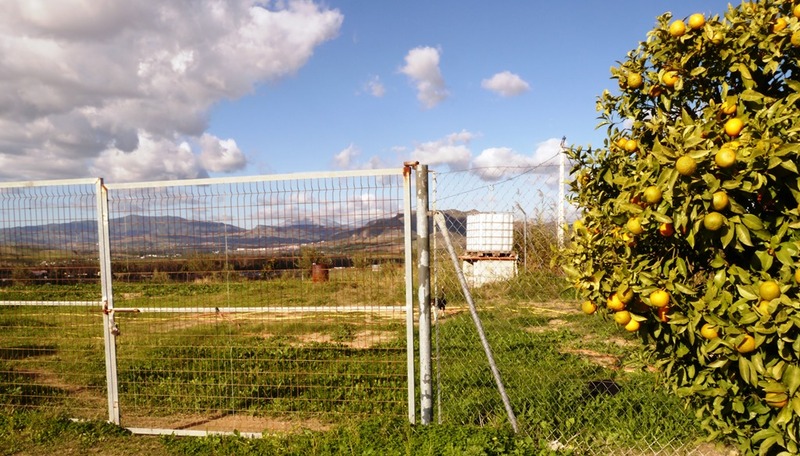 On this final day at Finca de la Piedra I mooched on up the hill to Villafranco del Guadalhorce, a walk of only 1 mile or so; Amanda opted to stay with Twernt in order to create edible masterpieces with which to delight me upon my return. With 33 years behind us there’s still a first time for some things at least that was the thought in my head as I trundled off into the unknown. 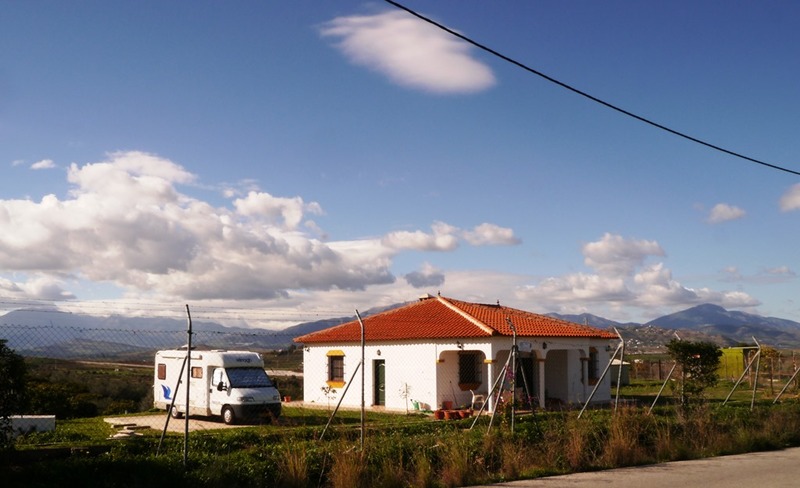 A small villa owned by a Mo-Ho-er – my guess is €120k-ish, that’s circa £96k to you los ingleses – now which would you prefer a terraced house in Langley Mill or this little number? I should mention that this local bar has a number of ‘public’ rooms plus outdoor terraced seating areas, one of the things that I like about this inland area of Andalucia is that it isn’t ‘polished’ the way the coastal areas to the south are (Marbella, Estepona, et al) and yet those locations are only about 20 minutes away. I did think of this bar as a Spanish equivalent to a UK Working Mens Club – used to frequent those a lot in the 70’s and if Steve Sculpher ever reads these missives I wonder if he remembers one of those nights at the St. Anneswell Road Tenants Association Club (I think that was the name), sometime in 1978 or 1979. At the end of the band playing the last set, the club ‘MC’ said he wanted a word with me; this guy was built like the proverbial brick outhouse ….. and then some! He beckoned me through to the toilets at the rear of the band changing area, pushed open one of the toilet doors, lifted the toilet seat and then put one foot on top of the toilet bowl, unzipped his trousers, took out his todger and started urinating – all of this whilst ‘side-on’ in the toilet and delivering his speech to me. To this point all had said was ‘Now then lad……’. The guys only shortcomings as far as I could see were now in my full view and my instinct for self survival was starting to kick-in – in fact kicking was about to commence – Big Boy Small Toy didn’t know that, as a former striker, I can deliver fast, accurately and powerfully – with both feet! Show me a ball within kicking distance and it’s mine and here I was, staring at more than one! Fortunately, after a torrent of both time and liquids he then breathed a sigh of relief (I do know why that was!) and proceeded with ‘We don’t say this to very often but you guys were so good that we want you to leave your gear set up and do a couple of sets at lunchtime tomorrow, are you up for it? No need to tell your agent and you make some extra mullah’. Now it was my turn to be relieved, no not that way, you nasty minded people, just in a way where my feet went into standby mode – this giant geezer was no longer a threat – luckily for him! We did return the next day (Sunday) but there had been a moment when I would have willingly sacrificed all of the bands gear just to get out of that place – he was a scary guy. That and many other stories of Working Mens Clubs come to mind (can you leave please, you’re too loud and they prefer bingo!, etc., etc.) and this bar at Villafranco del Guadalhorce reminded me of those times. Happy days. As Amanda walked the dogs on the beach I saw this young lady pass by looking like someone in a scene from LA – ‘Hey, YOU, it’s December and this isn’t LA’ but I think she already knew that. 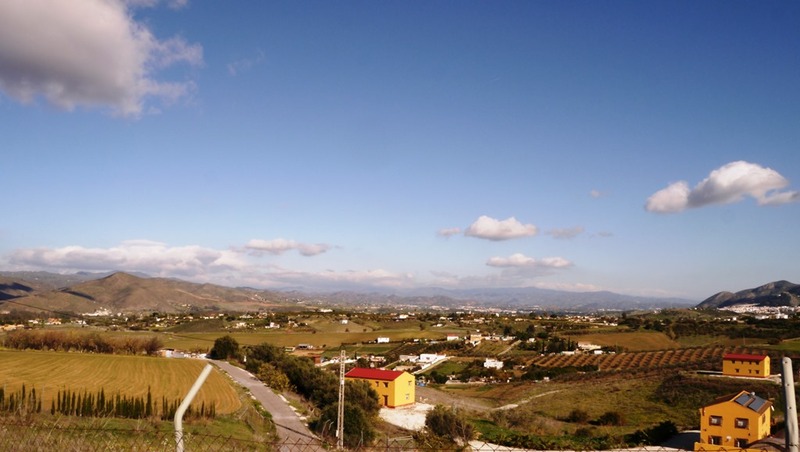 Motril life in December 2014, an endless stream of sunny scenes……….. 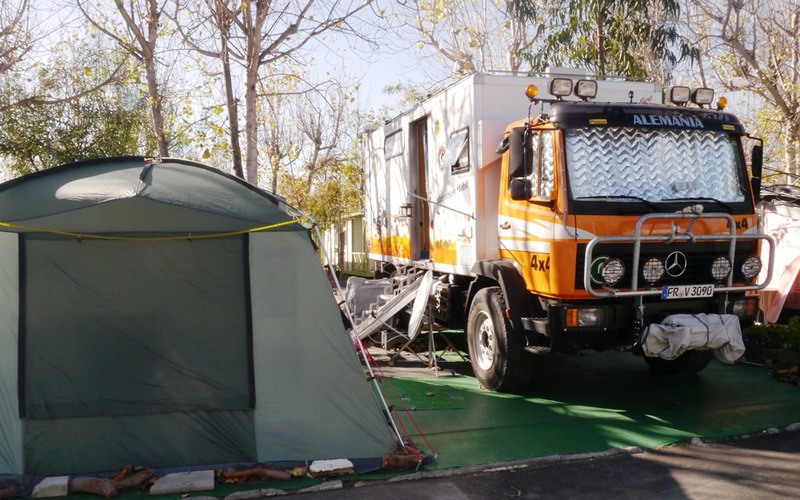 I entered the chosen campsite and saw this monstrosity; then I remembered that the nearby port in Motril has sailings to Tangier and this guy is probably either going or coming back from some Sahara’n adventure. I would absolutely hate full-time living in one of these things. All right for the movies for not for real life ‘silver’ full-timers. If you’re ever tempted… get real, you’re not 25 any more! I looked over this campsite for some 30-45 minutes – there existed only 2 pitches that I felt easy about putting Twernt on and one of those was alongside the facilities block with a lot of traffic in/out. 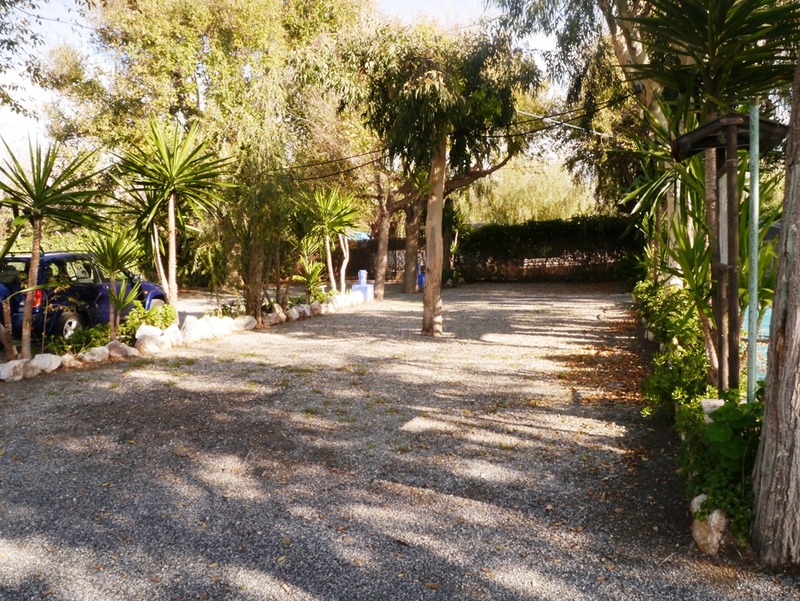 In this location there are 2 campsites ‘side-by-side’, the ‘monstrosity’ one, favoured by Amanda during her ‘research’, called Camping Playa de Poniente and a smaller campsite ‘next door’ called Camping Playa Granada. 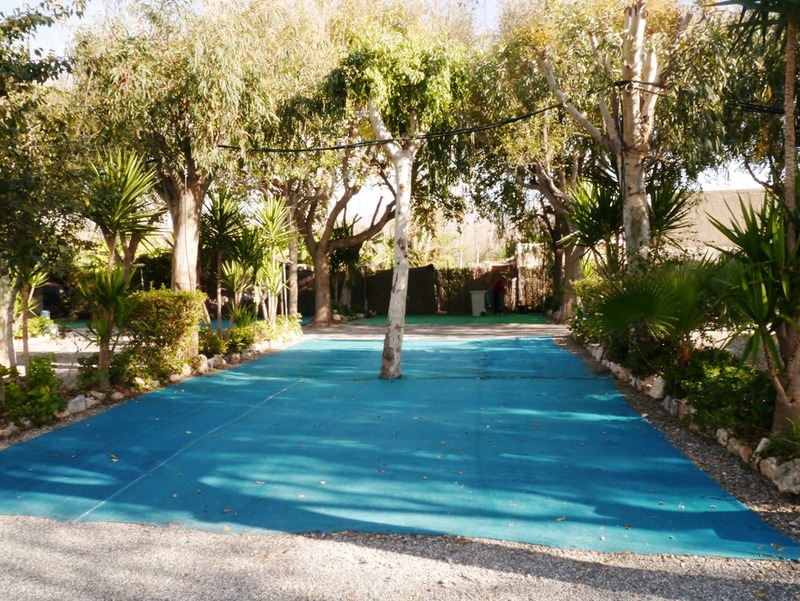 The other thing that I didn’t like about Playa de Poniente is that it is the MOST ‘prison-like’ campsite that I’ve seen to date, fully ‘netted over’ pitches everywhere. No thanks. I then checked out Playa Granada but felt that the trees presented more of a challenge than I would have liked due to Twernt being 10 metres long (including cycle rack) and taller than any other MoHo currently on this site. I also observed that there wasn’t a single British registration on either site. Not that this is a problem, it was just an observation. Returning to Twernt I relayed my findings to Amanda and announced that I was going to try the higher rated Camping Don Cactus ‘just east of here’. A late lunch followed and we then drove the 9 miles or so east to Don Cactus, we passed through a place called Torrenueva, not somewhere that appealed and a mile or two after that we came across Camping Don Cactus in an area that appealed even less. Rows and rows of large ‘plastic’ ‘greenhouses’ and Camping Don Cactus was in the middle of them. 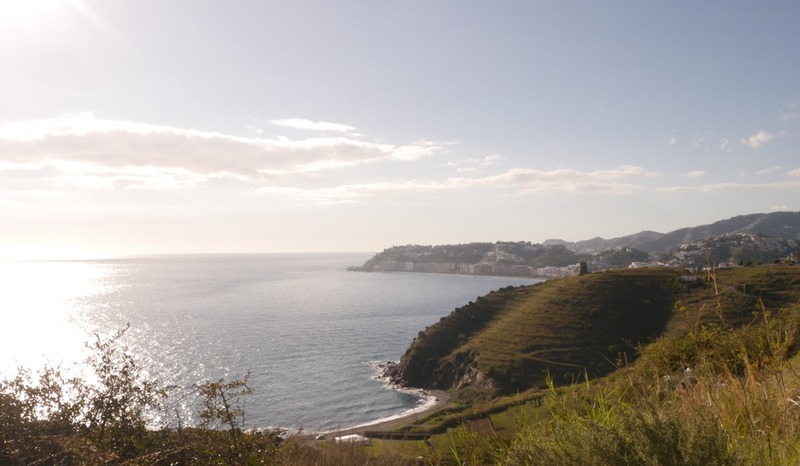 Another ‘No thanks’ and I turned back heading for La Herradura where another possible campsite existed. Yet again, this search proved fruitless, the road leading down to the campsite was not an option for Twernt, the road rapidly declined and had an almost immediate 90° right turn that would have guaranteed losing much of Twernts rear end. As I said at the time ‘Oh, that’s a shame, let’s not go down there’, well that’s what I would have said had I been uttering The Queens English – the actual words were more like ‘F*&% that, I’m outta here’. 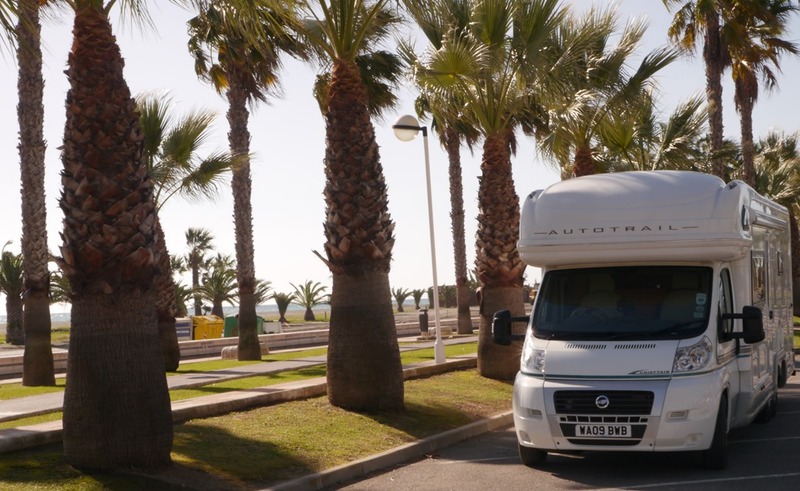 The brain in my fingers re-programmed the sat-nav whilst another brain concentrated on driving out of this place and back to Motril – Trees are good things, they won’t hurt me – Camping Playa Granada it is then! So, our 75 mile trip from Finca de la Piedra ended after driving only 126 miles. It was a challenge to get onto the pitch but I was assisted by a kind German chap who professionally guided me through the obstacles – he later told me that he was a coach driver back in Germany (that was a few years back methinks), a very nice guy and I have since discovered that most pitch occupants here are from Germany. There are just 12 pitches taken and 39 pitches available. 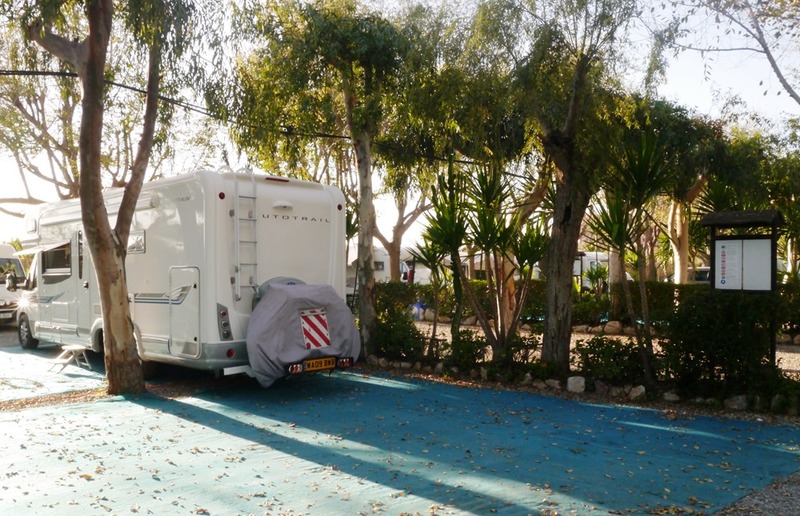 It is a peaceful l’il site – https://campingplayagranada.wordpress.com/ – in a very good location but those trees are a bit daunting for anyone not confident in their ability to ….. well….see really – slowly does it, never panic and watch, watch, watch whilst throttle tickling. Not looking forward to getting Twernt out of here next month though! I think I’ll wait until I’m truly inebriated, that will sort it. After pitching Twernt I returned to the site office to hand over passports for copying and to get hooked up with the site WiFi. Another German chap stood behind me as I fumbled my way through proceedings with the owners wife. Due to my knowledge of Spanish being very limited and ‘Doris Motrilius’ knowing next to no English, gesticulations became the order of the day. We somehow managed to complete the registration process and I then asked about WiFi, Doris’s reply contained many consonants and vowels that were emitted in an order that probably represented some form of communication to someone that wasn’t me. I needed a portable Enigma machine – version 2014 – to have any chance of understanding what Doris’s mouth was spewing forth in my general direction. Suddenly, out of this verbal tirade of Doris telling me about how good or bad her day had been, I picked out the word ‘whiffy’. From having zero English Doris was now showing another side to her language skills – and she was getting personal! I shrugged my shoulders and furtively held a thumb and finger to the end of my nose whilst ‘secretly’ pointing with the index finger of my other hand to the German chap stood behind me. Common ground borne of the solitary English word existing in Doris’s vocabulary. I thought I’ll try again later on the WiFi and I did the only thing left to be done – I walked out and left Doris to deal with the smelly German. By late afternoon I was suffering from “shaking an’ a sweating” withdrawal symptoms that are well known to all addicts who suffer from being denied internet access – I needed to get my next fix….and quick. So I returned to the office and through gesticulations and flashing our Nexus 7 tablet Doris seemed to get the message. She did say ‘whiffy’ a few more times but whatever her problems had been with the German chap I was only interested in gaining WiFi access. Doris then showed me a price list which quickly made some sense as I saw €2/day through to €30 for 30 days. I opted for the latter as Doris pointed to the price list and once again said ‘whiffy’ – Aha! Doris was pointing at the word ‘WiFi’. You just couldn’t write this stuff could you! ‘Whiffy’ is WiFi – at least the smelly German had left the building and I didn’t need to explain all of this to him! Doris also raised a solitary finger indicating that the ‘whiffy’ price was for one device only. 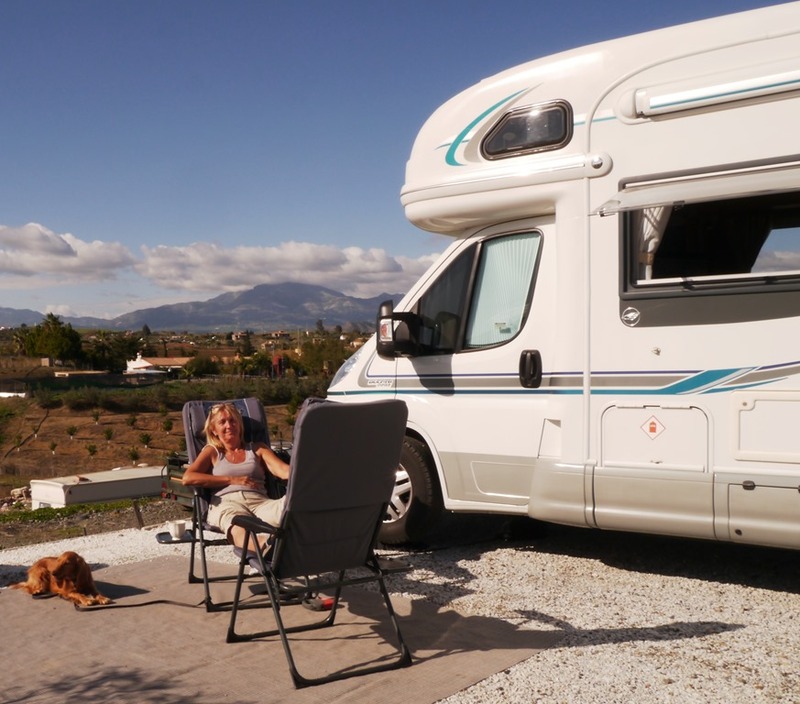 Time to activate our MotorHome WiFi iBoost system! 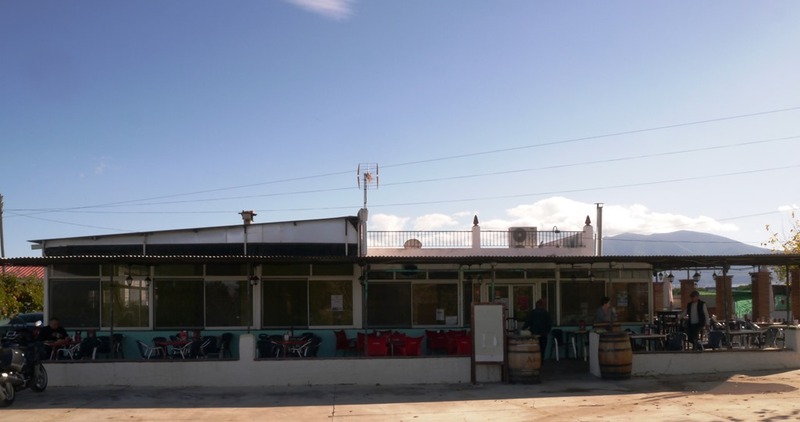 The iBoost system has proved itself to be useful on a number of occasions – the last one being at Puerto Gelves where it gave us internet access from the Port office WiFi, albeit just a short distance away, it was far enough away to be inaccessible without the iBoost. We have never seen iBoost as a way of ‘cribbing’ open WiFi ‘hotspots’ because we realised that more and more ‘hotspot’ owners are password protecting their investment. 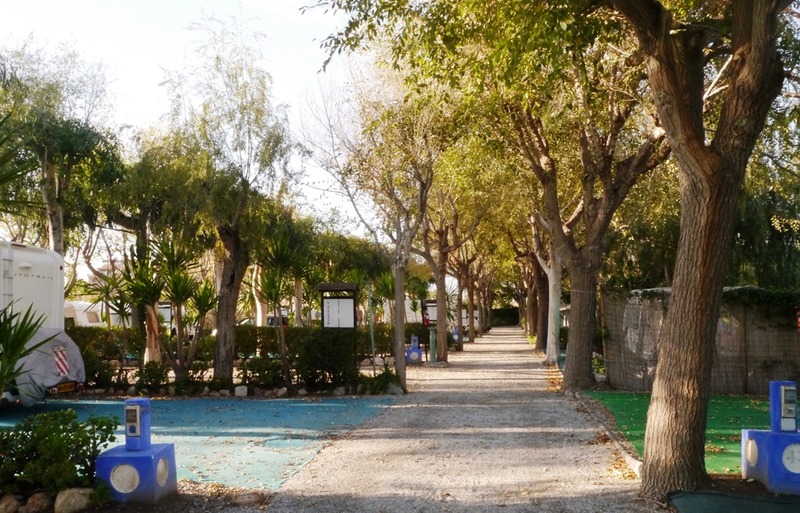 Having said that the WiFi at Ria de Formosa, Cabanas, is provided as an ‘open’ access (no id or password is required) and iBoost would easily get you onto that network from outwith the park boundary. 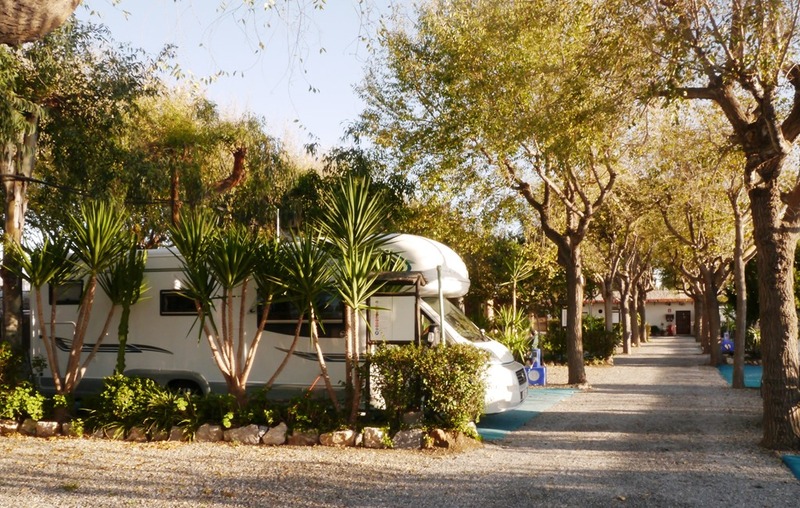 But here at Camping Playa Granada the iBoost could show it’s true worth. 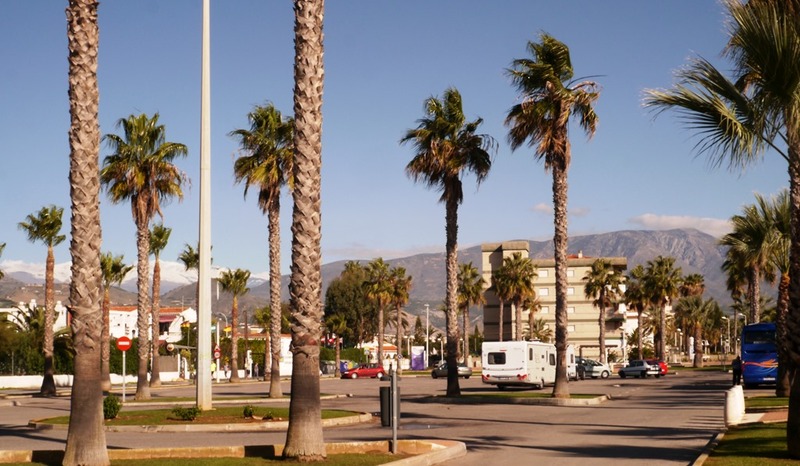 With our 2 tablets and the PC already fixed to connect to the iBoost router, we simply called up the router’s ‘home’ page and set it up as the ‘sole’ user of the Camping Playa Granada WiFi service. We did have some teething problems whereby uploading images to Photobucket and the like failed but that essentially corrected itself late at night when the other site WiFi users were in slumberland, so I believe that was a service problem and nothing to do with iBoost. At one point I was going to ‘fess a mistake on my part to the site owners and request a new ‘whiffy’ id/password to be used on just one of our devices for the duration of our stay. I’m now very glad that I didn’t do that as we now have 3 devices with internet access for the next 28 days for the price of one device – thanks to iBoost. Happy chappy with lots of ‘whiffy’ days ahead of him! I just hope that it’s not actually a free access WiFi on this site and I eventually get handed €30 worth of deodorant when the time comes to pay for whatever ‘whiffy’ I signed up for. Time will tell. Picture of the 2nd ‘avenue’ the tight 90° left at the bottom with trees either side is followed by a 90° right to join the first ‘avenue’ – this exit will not happen unless the site owners remove their home – ahead in the picture. Having said all of that, there are some lovely pitches vacant here, left to right to the front of the central tree = one pitch but Twernt has both front and rear due to being 10 metres long – only paying for one pitch though! 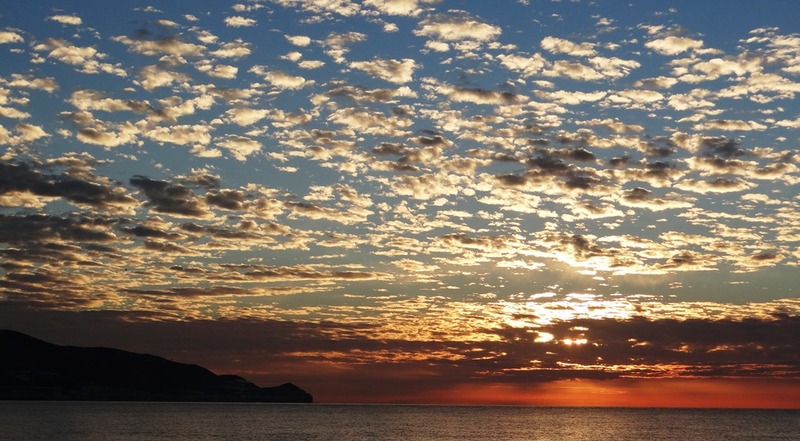 Obrigada et adios amigo’s – Amanda, did I get that right? 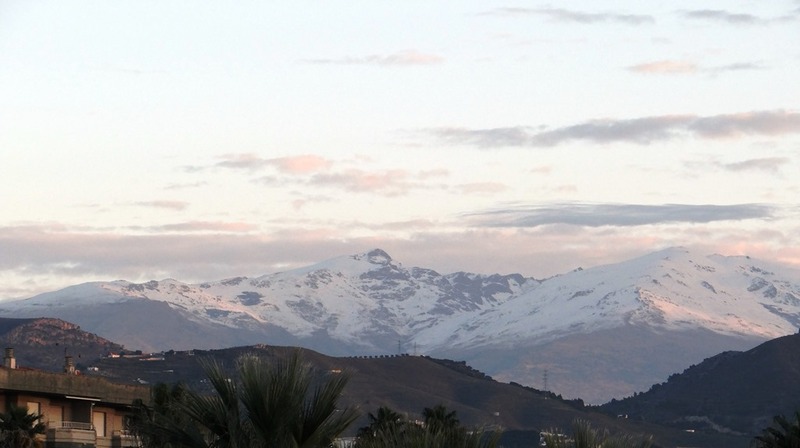 December 3, 2014 in 3.2 Spain 2014 Christmas.